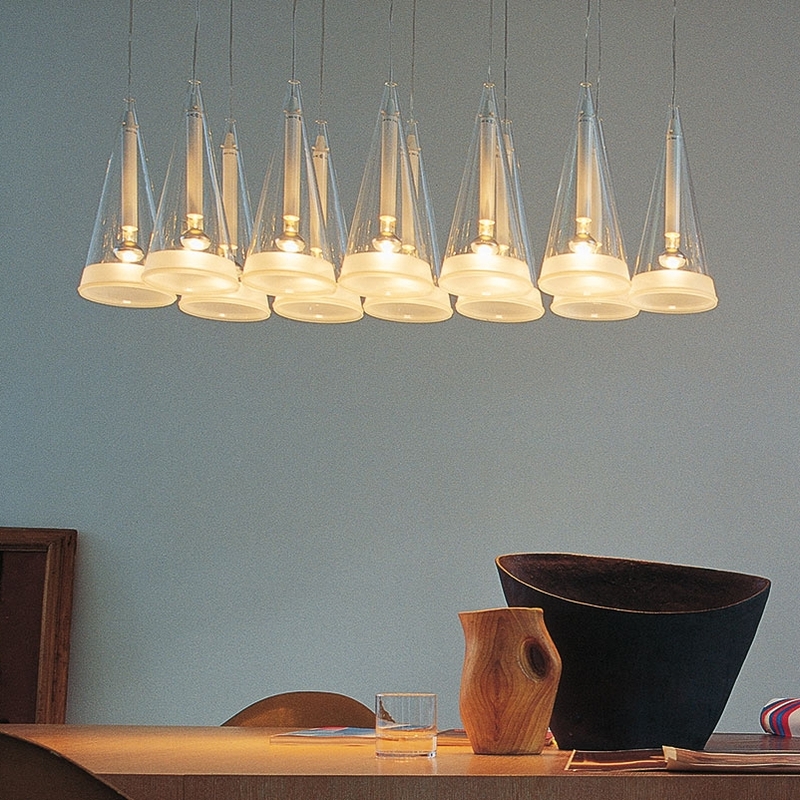 The pendant lamp by Flos Fucsia 12 is a system of 12 elements. Each element is a separate pendant light based on the Fucsia 1, summarized in a canopy system of 12 arms. Arranged the elements of Fucsia 12 in an elongated shape - this is the pendant lamp by Flos is particularly well suited for illuminating an elongated table, a bar or a bar.